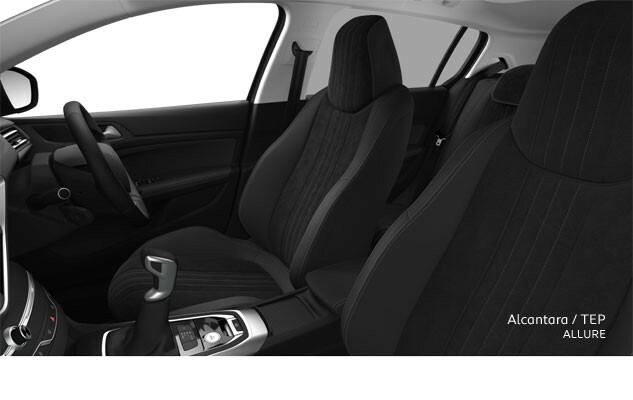 The perfect balance of practicality and style - The all-new 308 Touring delivers a flexible and comfortable family space that really stands out from the crowd. The perfect balance of practicality and style – the PEUGEOT 308 Touring wagon delivers a flexible and comfortable family space that really stands out from the crowd. 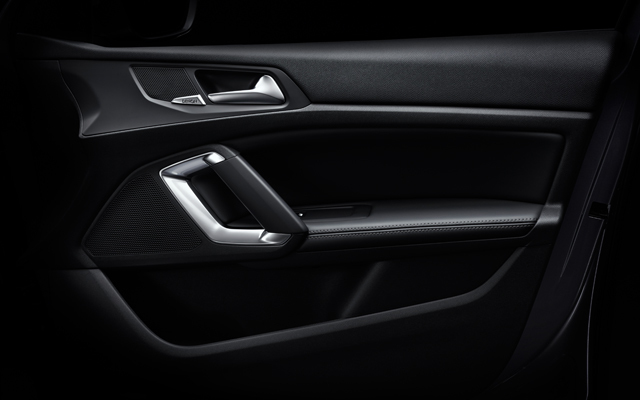 The inside of the PEUGEOT 308 Touring lives up to the high standards set by its exterior. The cockpit is intuitively designed, giving the driver access to all the car’s controls - it’s the perfect balance of technology and comfort. 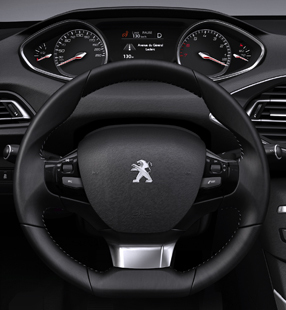 The PEUGEOT i-Cockpit reflects the simple yet ultra-intuitive nature of the all-new 308 Touring. With a sporty driving position and a compact, responsive steering wheel, the dials are positioned directly above it so you can keep your eyes on the road. The large colour touch screen houses most of the car’s onboard technology which means full control is right at your fingertips. The sleek interior design features a clean, airy front section with very few visible buttons and exquisite quality materials, affirming the careful attention to details and finishing touches. The minimalist look is totally innovative and unique. 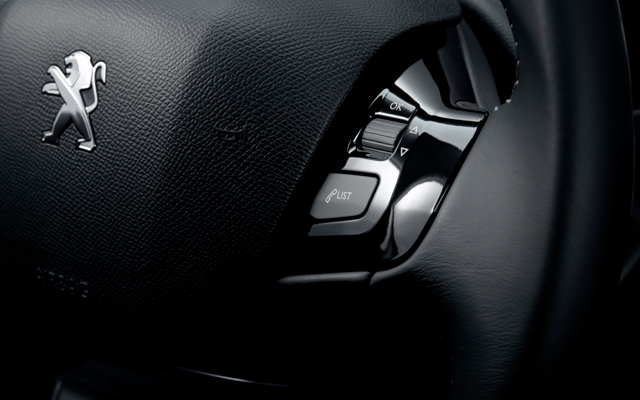 So you can drive with the minimum of distractions, our Head-Up instruments let you see the dials without looking away from the road. 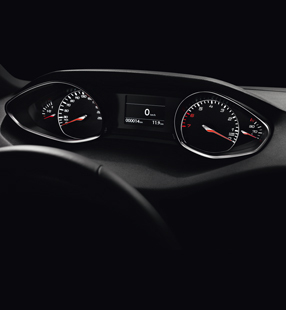 Because of the high, sporty positioning, you can see the dials over the steering wheel, rather than trying to look through it. 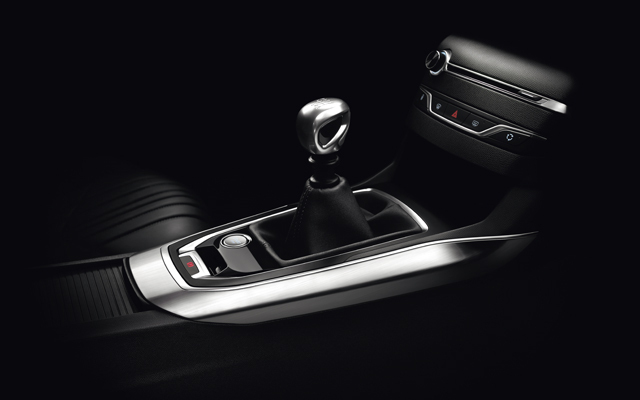 Like the 5-door model, the all-new 308 Touring features a sporty, compact steering wheel which not only lets you respond in a flash to whatever is happening on the road, but also allows the instrument panel to be completely visible at all times, so there's no need to look away from the traffic when you’re on the road. 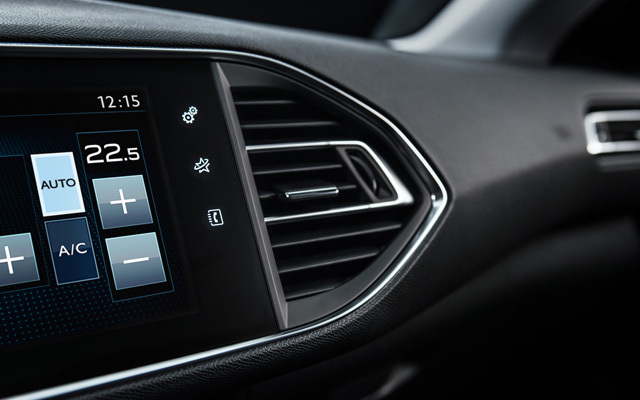 On board the all-new Peugeot 308 Touring is a large 9.7" touch screen tablet turned towards the driver and perfectly integrated into the central dashboard. Intuitive to use and customisable, it provides fingertip access to most features. Each interior element fits perfectly into the cockpit: very few buttons are visible, the touch screen is an integrated high-tech panel, and the volume controls reflect its high-end character. The dashboard, which is fully covered in foamed plastic, and the satin chrome and glossy black trim reflect the careful attention to detail. 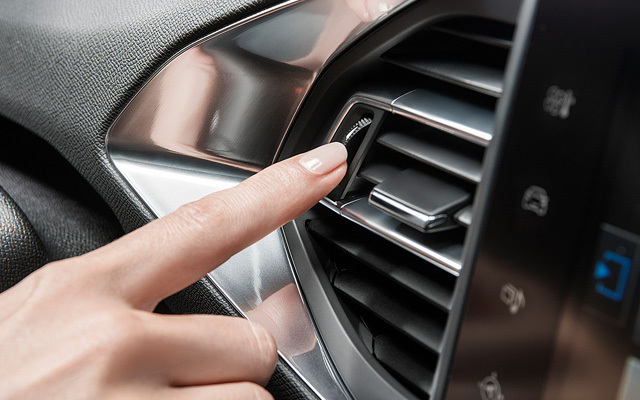 The automatic dual-zone air conditioning in the all-new 308 Touring means you can have cool air keeping you alert while your passenger enjoys more warmth – or vice versa. 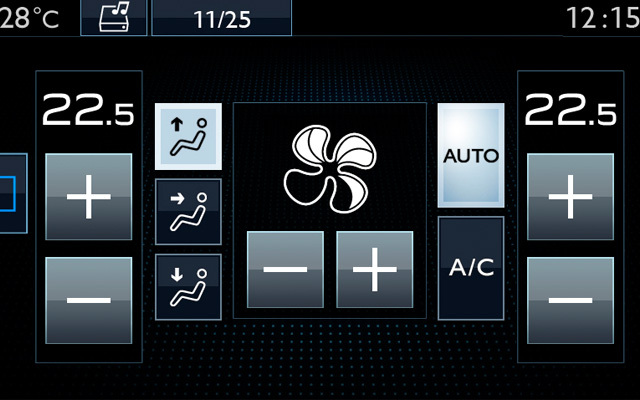 The car’s climate control feature will automatically maintain the dual temperature settings for you, or you can adjust the controls yourself via the touch screen. Fancy open-topped motoring without the wind playing havoc with your hair? Then how about a panoramic glass roof (available as an option) that floods your cabin with light, making it feel even more spacious. The innovative in-built canopy filters out light when it’s very bright outside, so you never get dazzled. 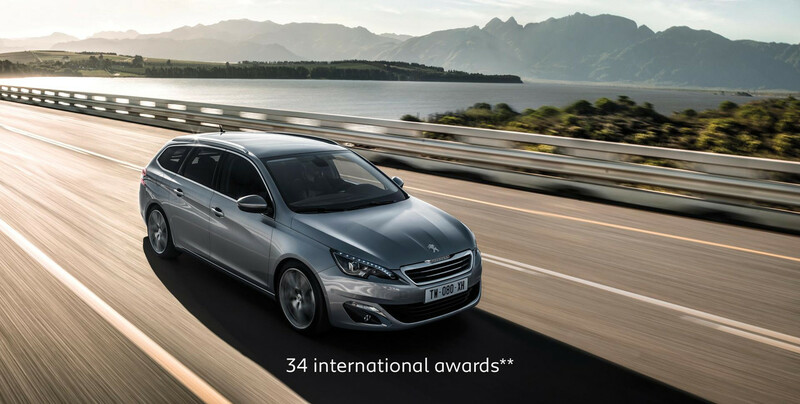 If you’re looking for extra space – then the 308 Touring has what you need. 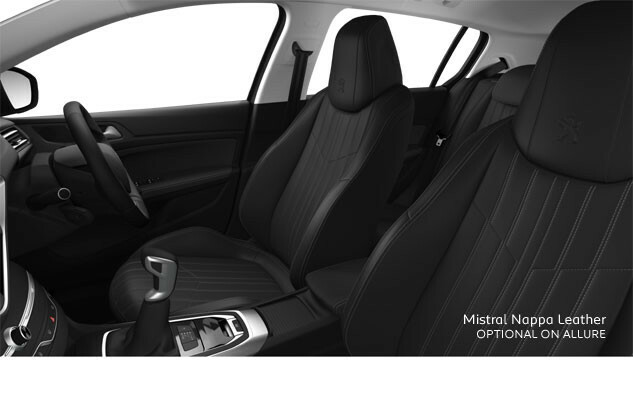 With one click the rear seats fold, increasing the boot space from 625 litres to 1,740 litres. The boot also features ergonomic securing points with moveable hooks on chrome rails to allow you to easily organise and secure your loads as well as a retracting boot cover for extra security. This is a car designed to fit around your lifestyle. Watch the video to see the magic flat seats in action.